Carolina Large Gusseted Tote Bag w/ Hook and Loop Fastener Closure. 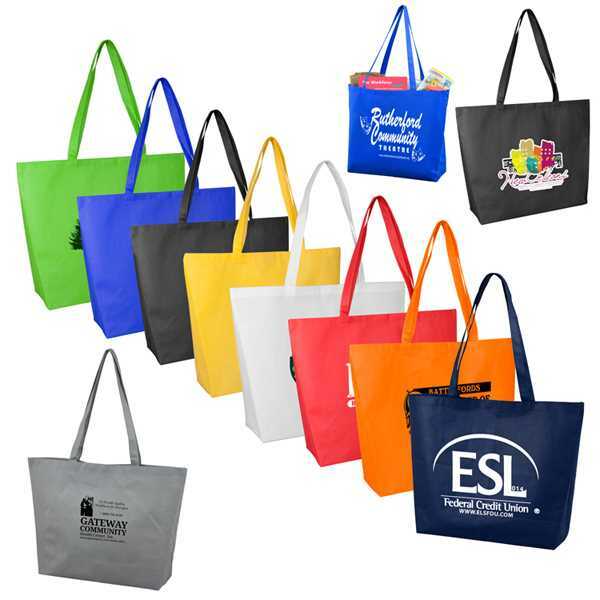 This 80GSM Non-woven polypropylene tote bag is economical, yet sturdy and has 28 5/8" cross-stitched handle straps for extra strength and a handy hook and loop fastener closure. Reusable and Recyclable. Size: 21 " x 15 " x 5 "
Price Includes:One color imprint, one location.